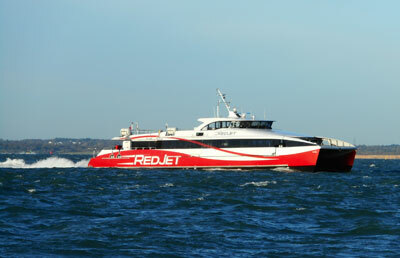 The first Red Jet Catamaran passenger ferry was introduced on the Red Funnel Cowes-Southampton route in 1991 - this class of vessels used water jet propulsion. 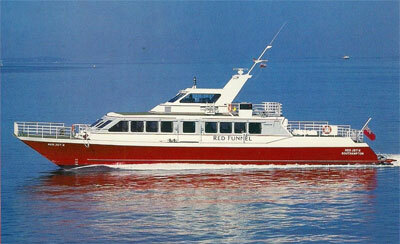 Red Jet 5 was purchased by Red Funnel from Bahamas Ferries in 2009, it had been built by the Pequot River Shipworks in New London, Connecticut in 1999. It was used on the Thames during the 2012 London Summer Olympics Games. Red Jet 6 was built for Red Funnel at East Cowes, it entered service in 2016.